Former Penn State University President Graham Spanier says in a new documentary film that he was a victim of child abuse and would have intervened if he had known about the abuse committed by former Penn State football coach Jerry Sandusky. The first screening of the film "365 Days: A Year in Happy Valley" was held Friday night at The State Theatre as part of a red carpet premiere. StateCollege.com was invited to the event. In the film, Spanier says while growing up in Chicago his father, who escaped from Nazi Germany, severely beat him on a regular basis. The abuse was so bad, he says, that he underwent reconstructive surgery. Spanier, who sat down with the documentary crew for roughly two hours in the fall, said if he had known Sandusky was abusing children he would have put a stop to it. "If I had ever heard a word about child abuse, sexual abuse, about anything criminal, I would have intervened. Never in a million years would I have allowed that to occur, never," Spanier says. In the film Spanier also says the news media and Louis Freeh report on the university's handling of Sandusky both painted Spanier as "one of the bad guys." Spanier said that conclusion is wrong. "I felt within myself I've done nothing wrong, I've done nothing to be ashamed of," he says. After the university's board of trustees fired Spanier he said he was reluctant to leave his home. But when he did, even to go the grocery store, he said complete strangers would approach him and offer support. "It was like a receiving line," he says. Spanier is currently awaiting trial for allegedly covering up the abuse and committing perjury during the Sandusky grand jury investigation. He has maintained his innocence. Before the screening, director Erik Proulx and producer Eric Porterfield, who has lived in State College since 1989, talked to the news media about production. Proulx and Porterfield said they pursued Spanier over time, having several lunch meetings with him. 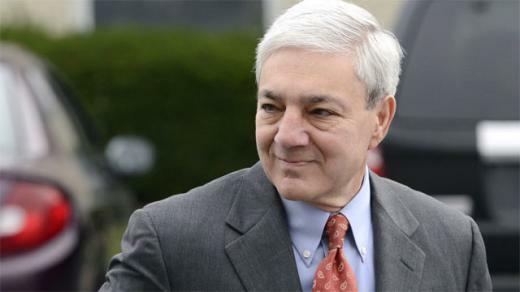 Proulx says Spanier's attorneys advised him not to participate in an interview. However, in the fall, Spanier sat down with the crew admittedly going against legal advice, says Proulx. Proulx noted the interview was not an effort to dig up controversial information from Spanier. "We weren't trying to find something that he didn't already report," Proulx says. "He was very comfortable talking with us." Spanier and all others who appear in the film were invited to Friday's premiere. Spanier did not RSVP to the event. When authorities indicted Sandusky, Spanier says he asked trustees to give him the opportunity to "get out in front of it because I knew it was going to be a pretty bad scene. But in this case the trustees decided they wanted to handle it ... It became clear to me that I was going to be helpless." Spanier also says trustees told him to cancel a press conference scheduled for Paterno shortly after the news of Sandusky broke. The film references the $8.1 million investigation funded by the trustees and conducted by Freeh, former director of the FBI. Some in the film imply the investigation was not impartial and that because trustees paid for the probe, it had to fall in their favor. Spanier says the report "was essentially written by the time he (Freeh) met with me." The official 365 days of documenting started Sept. 1, 2012; however, the crew started filming shortly before that date and continued beyond the one-year mark. 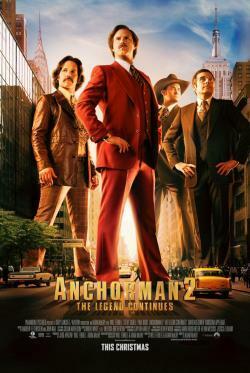 A preview of the film will be held in roughly 13 cities with week-long screenings in Los Angeles and New York. Depending on how film is received, it will either be released to theaters or go to digital distribution. Ready for the weekend? Of course you are. If you don't have plans yet be sure to take a look at the weekend planner.For even more suggestions, check out our calendar of events, weekly newsletter, yard-sale classifieds and open-house listings. Or visit our weather page for the latest forecasts.